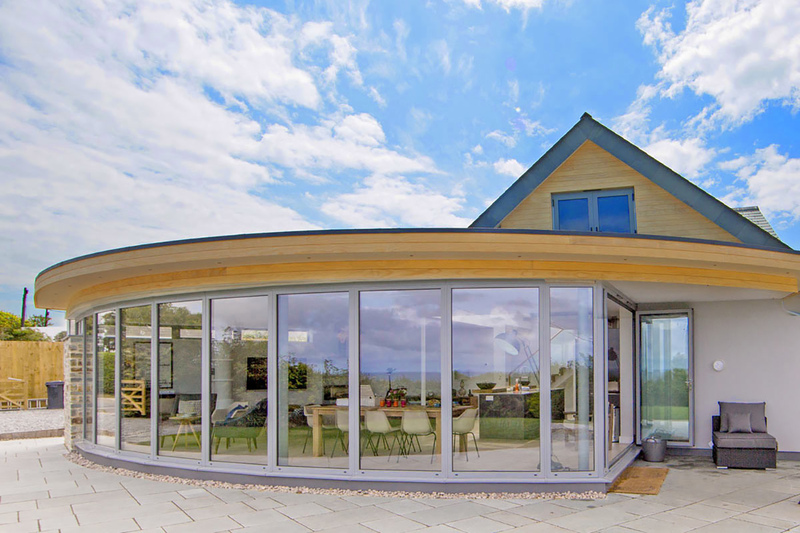 Structural Engineering Design including full steel framing with limited columns, to provide an open plan layout, and fully glazed external wall. On the north coast of Cornwall, Trelawney was built as a large open plan holiday home, replacing a mid-twentieth century bungalow. 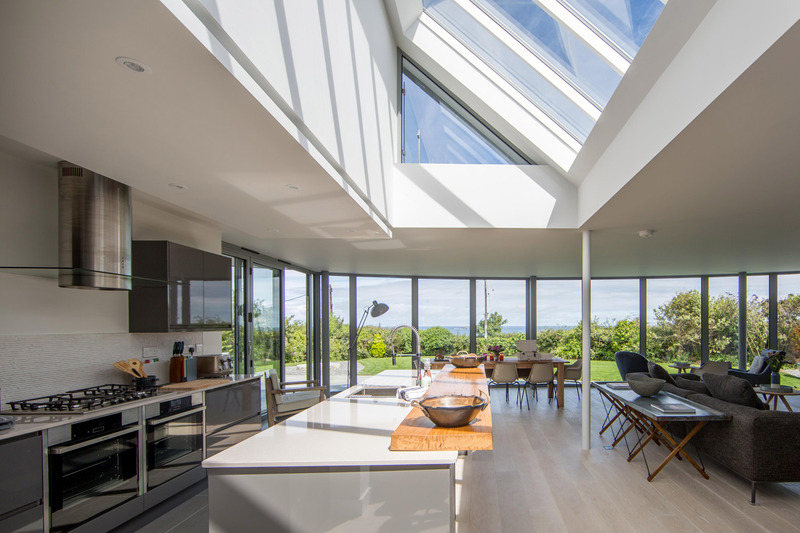 Working alongside local Architects, we prepared a full structural design package, designed with minimal internal columns, to limit obstructions to the large glazed sections of wall to the front. Contractor: Andrews & Mills Construction Ltd.